7) Movie: “This is Where I Leave You.” Tina Fey? Jason Bateman? Jane Fonda? All in one movie? And it’s out now?? ?RIGHT NOW??? 6) Movie: On October 7 “The Blood of Olympus,” Rick Riordan’s much-anticipated finale to his Heroes of Olympus series is released in the U.S. This is exciting. The movies may be the worst cinematic endeavor since To Catch a Yeti (Starring the rocker Meatloaf), but trust me, the release of this book is exciting. 5) Play: “Pippin” at the Golden Gate Theatre. This is the NATIONAL TOUR of the 2013 Tony-Award-Winning revival, starring Matthew James Thomas and Sasha Allen, who are both heaven-sent angels of music. I’ve seen this show, and I still don’t know what it’s about (but in a good way). If you’re down for Cirque du Soleil meets Broadway-quality musical theater (and if you’re not, what is wrong with you), save your money and go see this miracle. It runs through October 19th. 4) Book: “Us” by David Nicholls. Nicholls wrote One Day, which I got really into and decided to finish reading in bed. Then the ending made me SO ANGRY (but in a good way) that I could not sleep. This is his new book. So I guess I’ll read it. 3) TV: “How to Get Away with Murder” on ABC. Remember Dean Thomas from Harry Potter? He’s back, and he does a really good American accent and we’re all very proud of him. Viola Davis is involved, too, playing an extremely badass teacher with the fashion sense of Parisa. 2) Movie: “The Theory of Everything.” Do you like math? Do you like physics? Do you like love stories? Do you like movies? Do you like Eton-educated actor Eddie Redmayne? Do you not know who that is, but you just looked him up and now you like him? If you answered yes to any of these questions, The Theory of Everything is the film for you. Released sometime in November (they are being very vague), this definite Oscar-shoe depicts a young Steven Hawking struggling with his overcoming illness. Do not watch the trailer if you are in a fragile place emotionally right now. 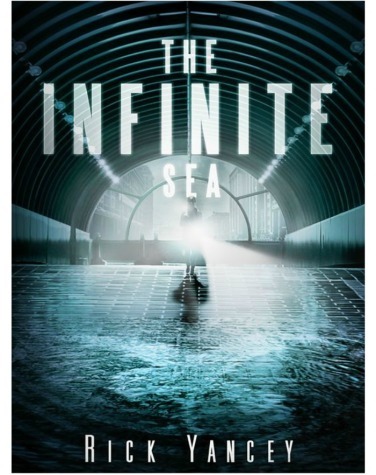 1) Book: “The Infinite Sea” by Rick Yancey. This book is the sequel to The Fifth Wave, a young adult post-apocalyptic story—oh, I’m sorry. Are you saying, “Another one?” Well, sit down, you pretentious banana, and reevaluate your opinions. This book has everything—badass (but also emotional and real) heroes, a disturbing feeling that this dystopia isn’t too far away, and so many plot twists that you’ll get whiplash. Also, if you’re looking for the feminist YA novel of the year, look no further.